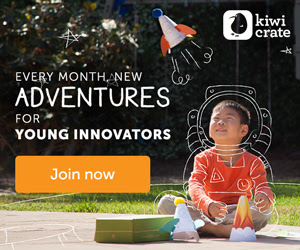 Join Kiwi Crate for a Summer of Fun! How about a Kiwi Crate Free Trial: try a sample-size project, Rad Rockets, from one of Kiwi Crates popular crates! Just pay $3.95 for shipping. Find this fun offer here! $30 Shopping Credits, Yes Please!